Police responded to a report of a helicopter crash in Andover, New Hampshire, on Tuesday afternoon. The crash happened at 3:54 p.m. in a wooded area off River's Edge Road. Andover Police and New Hampshire State Police both responded to the scene, where the helicopter was on fire. 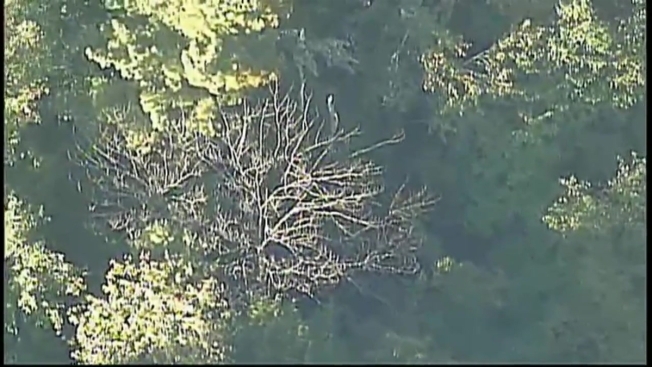 Aerial footage showed police tape and multiple emergency vehicles in the heavily wooded area, but the helicopter could not be seen through the trees. Police said the helicopter operator was alone and able to get out of the aircraft and call for help. The operator was taken to Concord Hospital where he was treated for non-life threatening injuries. The crash is under investigation by the Federal Aviation Administration, National Transportation Safety Board and the NH Division of Aeronautics.